Parks and open space play an integral part of the values and community fabric of Dublin. As noted by the City’s official slogan, “It’s Greener in Dublin,” great emphasis is placed upon parkland dedication and attention to open space in the development process. As a result, Dublin is a showcase of beautiful golf courses, neighborhood and community parks, open spaces, greenways, protected streams and spectacular landscaping. Highly valued parks and recreation programs are provided through the efforts of the City’s Division of Recreation Services. The City currently operates 52 parks encompassing over 949 acres, providing a full-range of facilities for residents including playgrounds, picnic facilities, tennis and basketball courts, bike paths, pedestrian trails, ball diamonds, soccer fields, bocce ball courts, and seasonal ice skating and fishing ponds. The City of Dublin is proud to have solid, long-standing relationships with the Dublin City Schools and Washington Township. Municipal park and recreation facilities are supplemented by school athletic fields and gymnasiums, as well as shared parking arrangements. 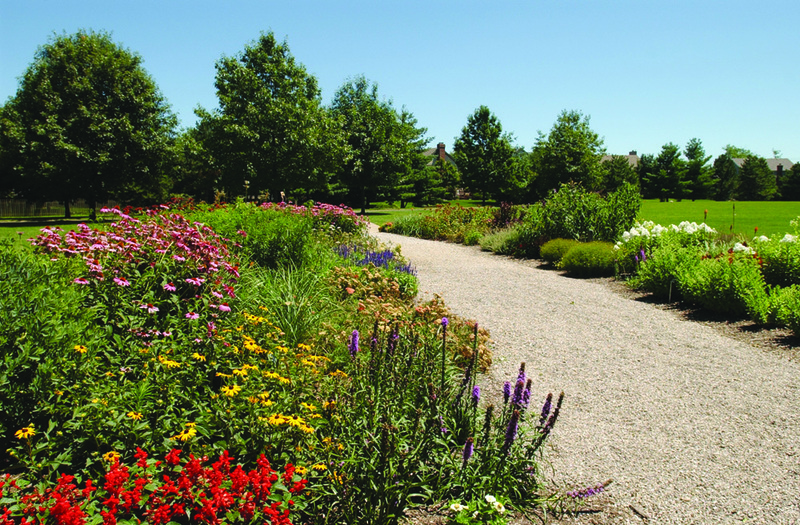 Park facilities within Washington Township also provide a valuable amenity for residents. The City works with township officials to coordinate recreational programming and acquisition activities to the benefit of all. Approximately 29 percent of current park acreage was purchased by the City, including three major land purchases (Avery Park, Monterey Park and Scioto Park) made with the use of Land and Water Conservation Funds from the State of Ohio. Of Dublin’s remaining park areas, 56 percent have been acquired through the City’s subdivision and platting regulations, using land dedication and open space requirements. An additional 7.5-acre area is leased from the City of Columbus (Kiwanis Riverway Park) along the Scioto River. With 34 acres of designated parkland per 1,000 residents, the city far exceeds national standards of parkland levels of service. These totals do not include other private recreation facilities and 1,038 acres of the Glacier Ridge Metro Park, immediately adjacent to the city. Dublin’s parks and open spaces are found in a wide variety of settings, and accomplish several objectives, including those along stream corridors and throughout residential subdivisions that are used to link parkland and open spaces to create a comprehensive recreational network. Bike paths and other pedestrian paths are key components associated with this network. This allows Dublin’s parks to be strategically located throughout the city to provide varying degrees of activity and programming. 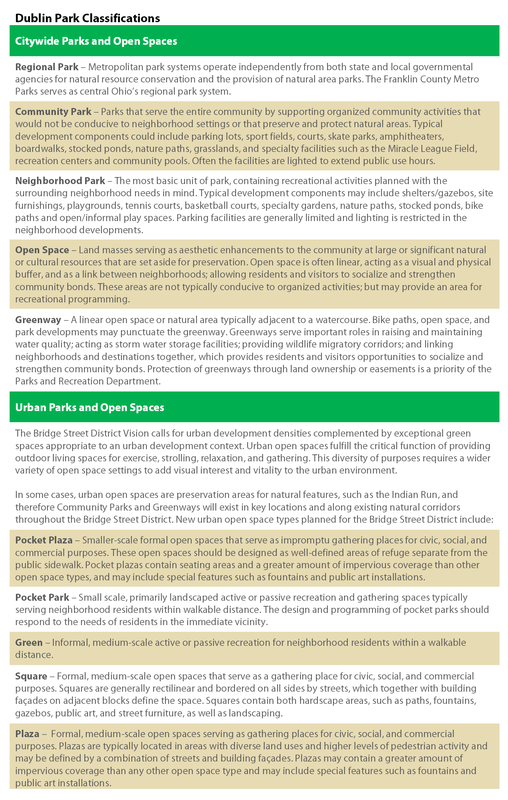 The Parks and Recreation Master Plan has a complete inventory of all Dublin parks and open spaces. Riverside Drive Park (Bridge Street District). 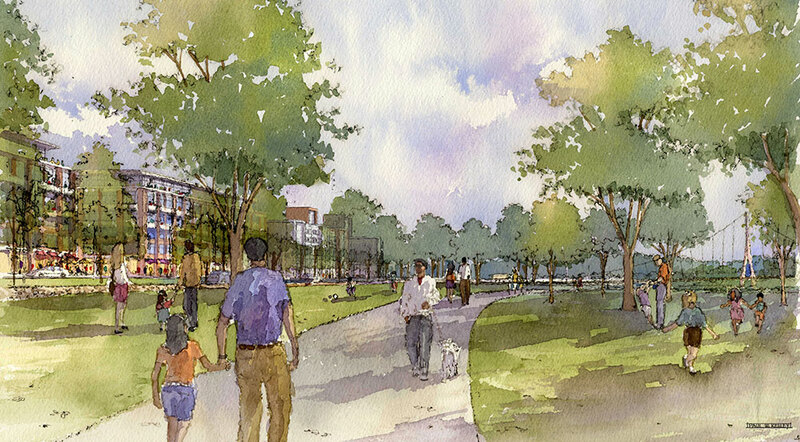 An approximately 12-acre community park planned along the east and west banks of the Scioto River, partly formed by the planned realignment of Riverside Drive between SR 161/Bridge Street and Tuller Road. Llewellyn Farms Park South. 5.45 acres of neighborhood park at the corner of Dublin Road and Tuttle Road in Llewellyn Farms South. Sycamore Ridge Park. 3.5 acres of neighborhood park along Tuller Ridge Road adjacent to the Sycamore Ridge development. Brand Road and Coffman Road Open Space. 14.7 acres of open space located at the intersection of Brand and Coffman roads. In addition to the park and open space opportunities within the city, a broad range of additional park and recreational opportunities exist to supplement the City’s efforts and add to the overall quality of life for residents. With significant growth pressure occurring to the northwest of Dublin, the Franklin County Metro Parks has provided open space amenities for the larger region. 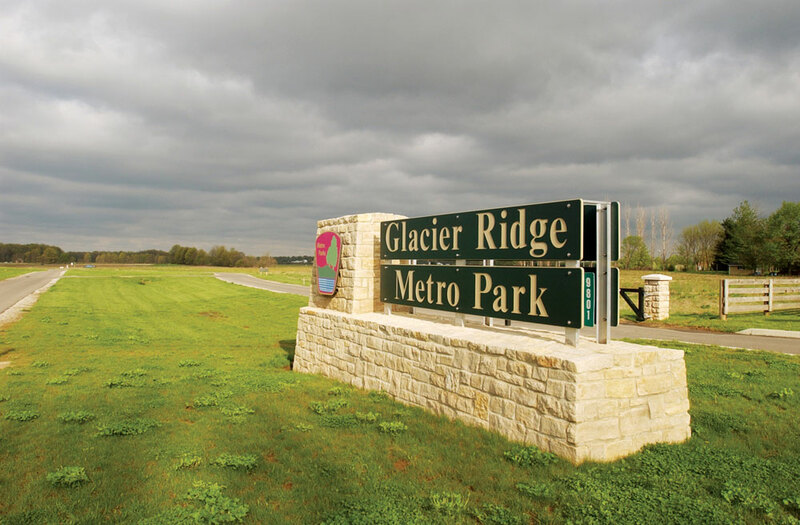 Through a cooperative financial partnership with the City of Dublin, 1,038 acres of former agricultural land and woodland were purchased to form the Glacier Ridge Metro Park along Hyland-Croy Road. 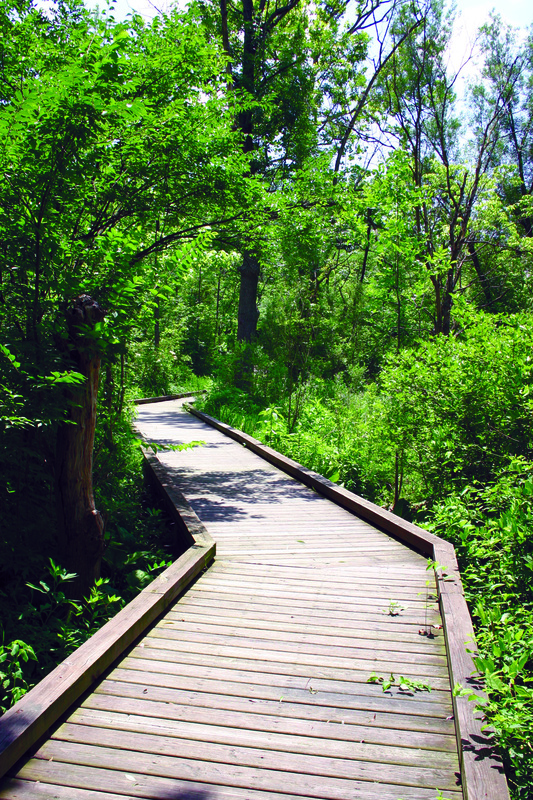 Opened in 2002, the regional park includes 250 acres of wetlands, trails, boardwalk areas, and an observation tower. The park is highlighted by the Honda Wetland Education Area and provides significant areas of preserved open space that establish a distinct visual character for Dublin’s northwest gateway. Trails within the park include a connection to the Dublin bike path system, providing access to neighborhoods along Hyland- Croy Road. The Heritage Trail Metro Park also provides amenities to residents to the southwest of Dublin. Located along Hayden Run Road, the park includes a 6.1-mile trail stretching from Old Hilliard to near Plain City and is augmented by a parallel 3.3-mile bridle trail. 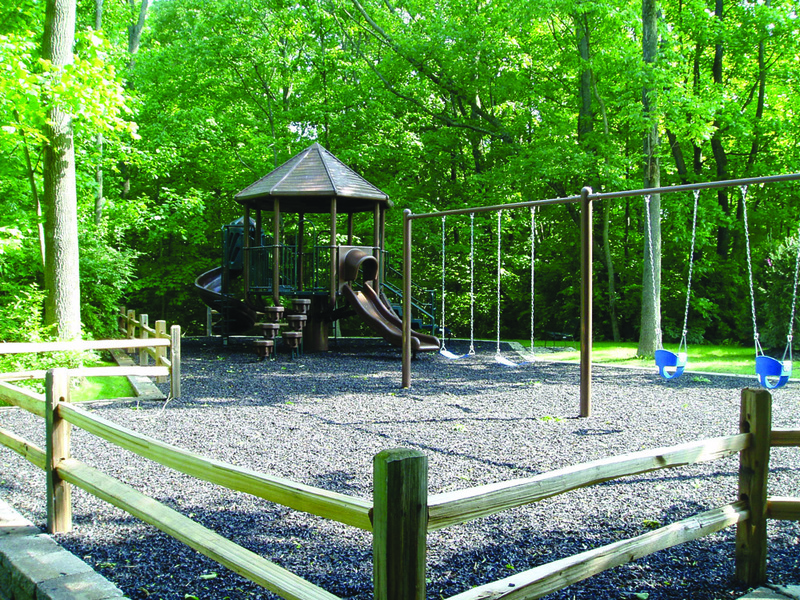 Washington Township provides other important park amenities that include the Ted Kaltenbach Park at 5985 Cara Road, adjacent to the Township Community Center. The park includes shelters and grills, paved walking trails, horseshoe pits, demonstration prairie, playground, baseball diamond, basketball and volleyball courts, running track and shuffleboard courts. Additional township parks include The Homestead Park at 4675 Cosgray Road and Amlin Crossing at 5468 Cosgray Road. Other municipal parks within the area include the Discovery Park located in Columbus adjacent to the Olde Sawmill Elementary School, which is specially designed as a handicapped accessible park with a multi-purpose field, tot lot and bike path. The O’Shaughnessy Dam Park, on the west bank of the Scioto River, includes access to the reservoir and Scioto River and includes woods, a river overlook, picnic areas and parking facilities. Riebel Woods Park within the City of Hilliard along the north side of Hayden Run Road and west of Avery Road provides four additional acres of wooded open space. Public parks and amenities are augmented by a variety of public and private golf courses and clubhouses, driving ranges, sports and recreational facilities, fitness centers and spas within Dublin and the immediate area. 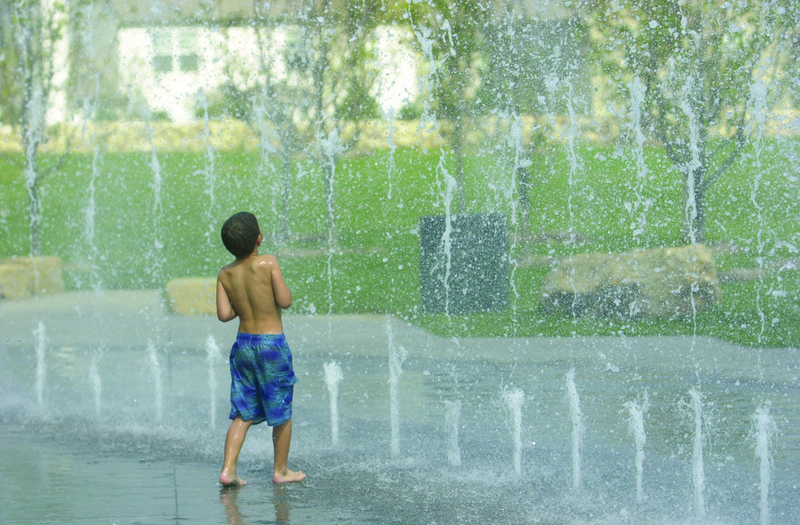 The City’s public and private park and recreation amenities make Dublin a more vibrant and active place to live. Additional facilities in the area are listed below. Columbus Zoo and Aquarium (9990 Riverside Drive). 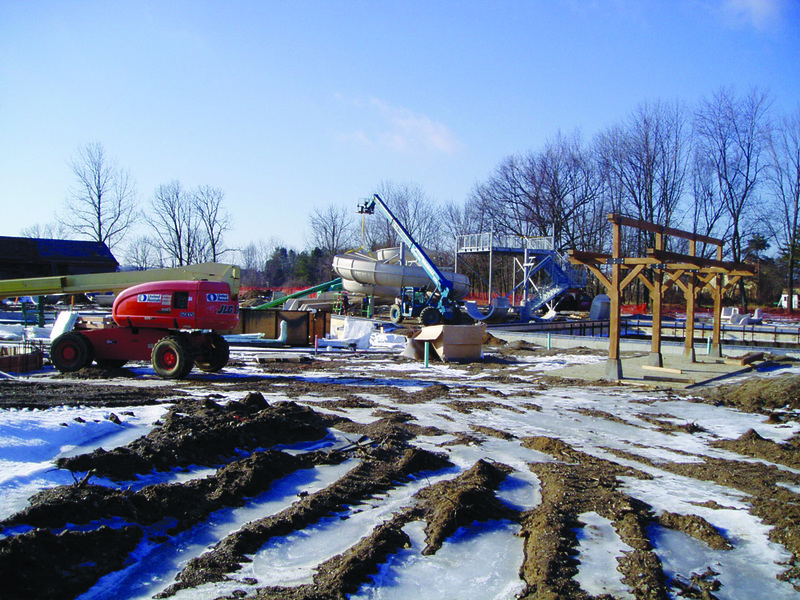 The world-renowned Columbus Zoo is located just northeast of Dublin within Liberty Township. The Zoo includes exotic animals and lush gardens with entertainment and educational programs and activities throughout the year. Golf Club of Dublin (5805 Eiterman Road). This award-winning 18-hole links golf course, located within the heart of the Ballantrae residential community, is owned by the City of Dublin and privately operated. The Club is a daily-fee public course that offers golf outings, community and corporate events, meeting spaces and indoor and outdoor space for weddings, banquets and parties. Lifetime Fitness (3825 Hard Road). With over 110,000 square feet, Lifetime Fitness provides fitness machines, basketball and racquet courts, rock-climbing walls, indoor/outdoor water parks and slides, child center, spa, café and locker facilities. Muirfield Village Facilities (5760 Memorial Drive). The 240-acre Golf Club at Muirfield Village includes an 18-hole championship course, clubhouse, pro shop and restaurant. The Country Club at Muirfield (8715 Muirfield Drive) includes an 18-hole golf course, seven tennis courts, a competition swimming pool, clubhouse, restaurant, fitness facility and pro shop. Additional recreational facilities related to the Muirfield development are located on Glick Road and Muirfield Drive south of Memorial Drive and include two outdoor swimming pools, a tot lot and bike trails. Premier at Sawmill (3111 Hayden Run Road). Formerly the Sawmill Athletic Club, the facility offers state-of-the-art strength and cardio equipment and other fitness amenities. Riviera Country Club (8205 Avery Road). The 160-acre facility includes an 18-hole golf course, banquet hall, tennis courts and pro shop. Safari Golf Club (19245 Riverside Drive). Within Liberty Township, this 18-hole public golf course is located adjacent to the Columbus Zoo and includes a full-service pro shop, driving range and restaurant. Shamrock Golf Club (4436 Powell Road). The 18-hole golf course within Liberty Township includes a full dining and banquet facility. Sports Ohio (6314 Cosgray Road). The 111-acre sports facility is located on the east side of Cosgray Road, south of Post Road. The development includes Midwest Gymnastics, Soccer First with two indoor soccer fields, the Chiller indoor ice rink (see below), a driving range, fun park with batting cages, go-karts and miniature golf and a par-three golf course. The Chiller ( 7001 Dublin Park Drive). A 77,000 square foot facility featuring two NHL regulation ice hockey rinks, 12 locker rooms and a multi-purpose room. 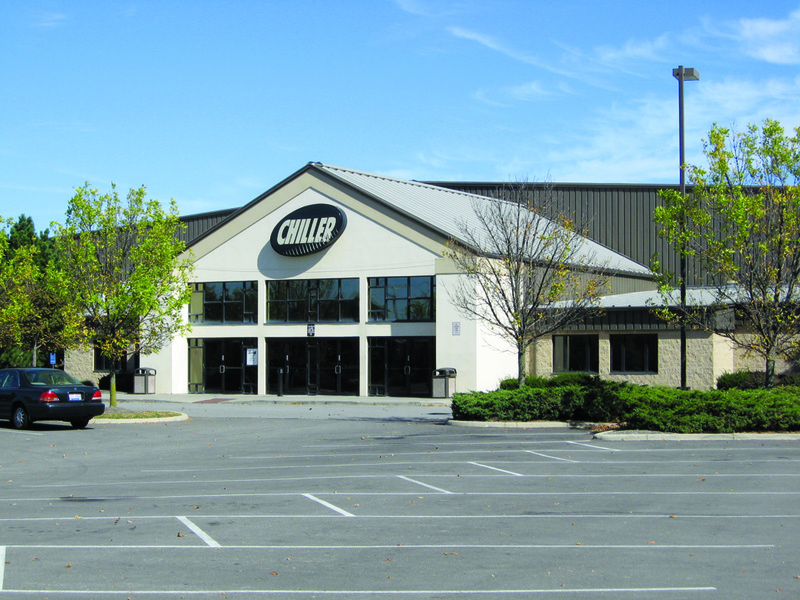 The Chiller, which opened in 1993, was a public-private partnership between the Columbus Chill, a minor league team, and the City of Dublin. The City purchased the land and as part of a twenty-five year agreement, leases the property. At the end of the lease agreement, the City will own the facility and be responsible for its maintenance and operations. Tartan Fields Golf Club (8070 Tartan Fields Drive). Within the center of the Tartan Fields development, the private 18-hole golf course facility includes a driving range, restaurant and banquet facilities. Wedgewood Golf and Country Club (9600 Wedgewood Boulevard). With over 156 acres of golf amenities in Liberty Township, the facility offers an 18-hole golf course, pro shop, restaurant and banquet room. Zoombezi Bay Water Park (10101 Riverside Drive). Located adjacent to the Columbus Zoo and Aquarium, the amusement and water park, formerly known as Wyandot Lake, is located within Liberty Township and is a well-known summer locale. The City of Dublin prides itself on the quality of the parks and open space system. Park and recreation facilities within the city should continue to serve all age groups and demographics as the city matures and as the character and make-up of Dublin’s population changes. The City’s ability to continue to provide a superior level of park amenities should be continued as development occurs in future growth areas. The city’s 34 acres of parks and open space per 1,000 residents far exceeds the average service standard of 10 to 20 acres of parks per 1,000 residents. The current expectations are that these per acre figures remain at or near those levels until the city’s eventual build-out. Based upon a projected future population of approximately 66,000, the city already has sufficient acreage of combined parks and open space to maintain well above the recommended provision of 20 acres of parkland per 1,000 residents. Dublin will likely continue to exceed these standards, primarily through the acquisition of key parkland sites and the dedication of open space areas in conjunction with development.